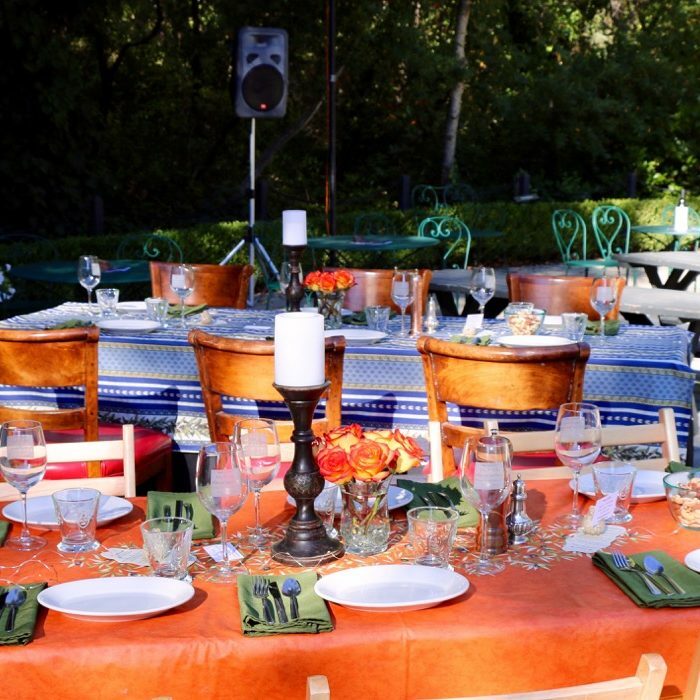 Support the arts while giving your guests a night they’ll never forget! 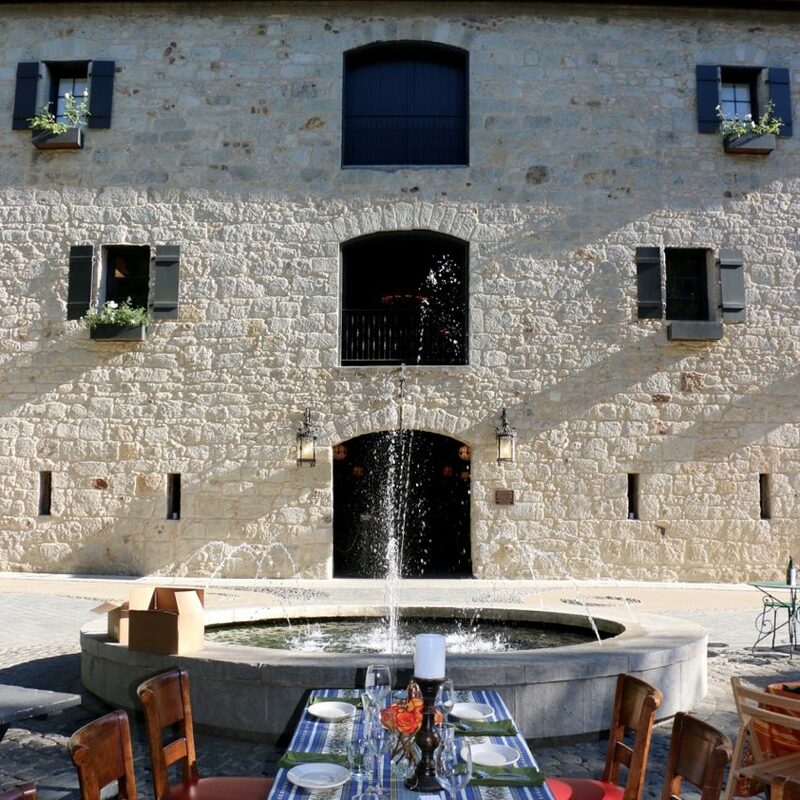 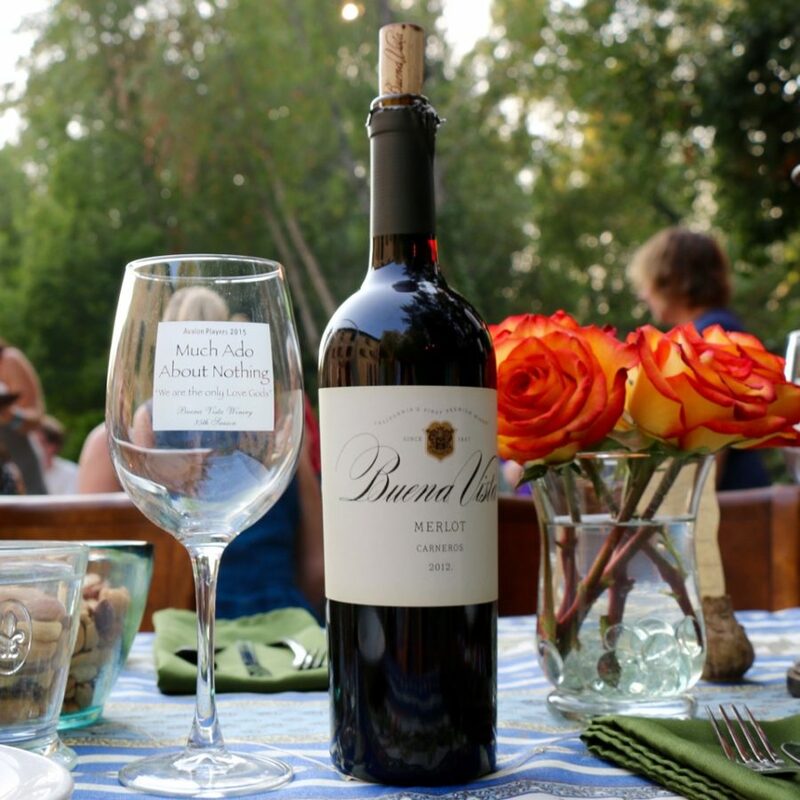 As the sun sets over the historic Buena Vista Winery you can skip the restaurants for a night and treat your guests to a light supper with free-flowing Buena Vista wines in a collectible ‘Comedy of Errors’ wine glass. 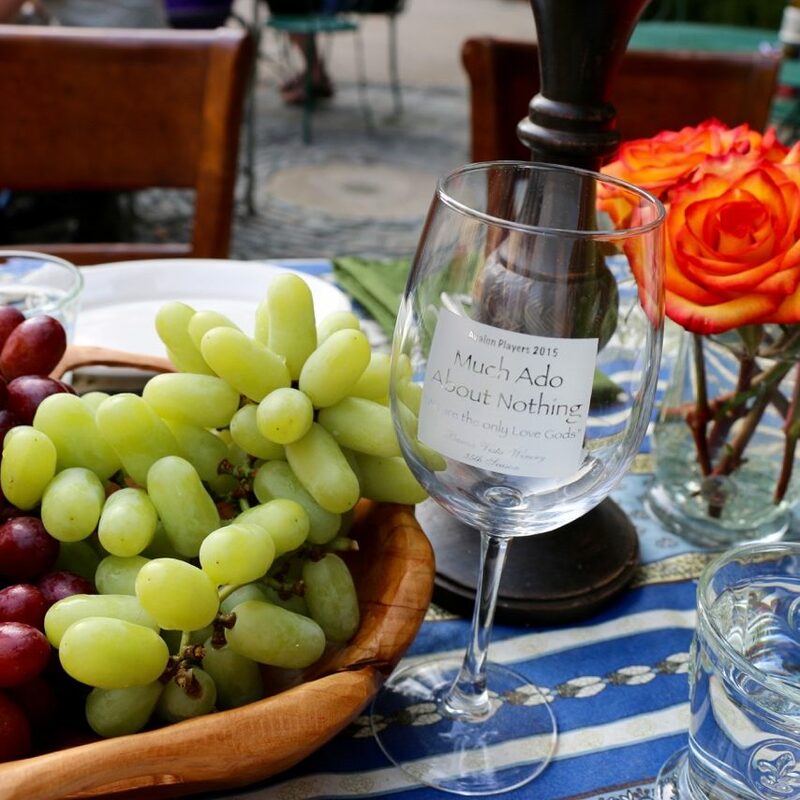 Sponsoring a table (or two!) 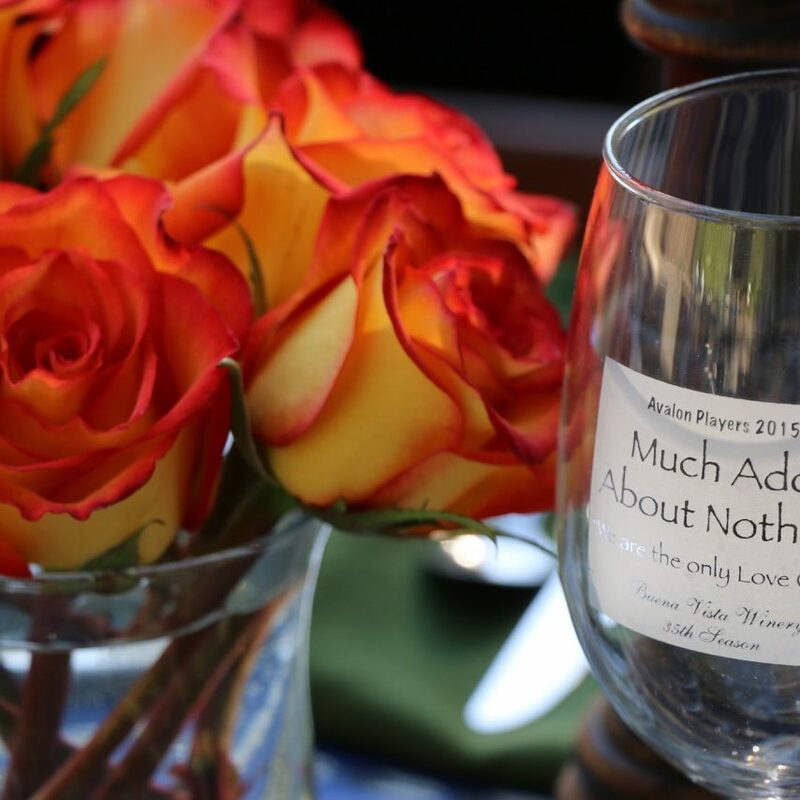 gives businesses, families and community groups a unique opportunity to engage clients, family, friends and contemporaries while supporting one of Sonoma’s most celebrated and beloved theatrical events presented by Kate Kennedy’s Sonoma Shakespeare Avalon Players. 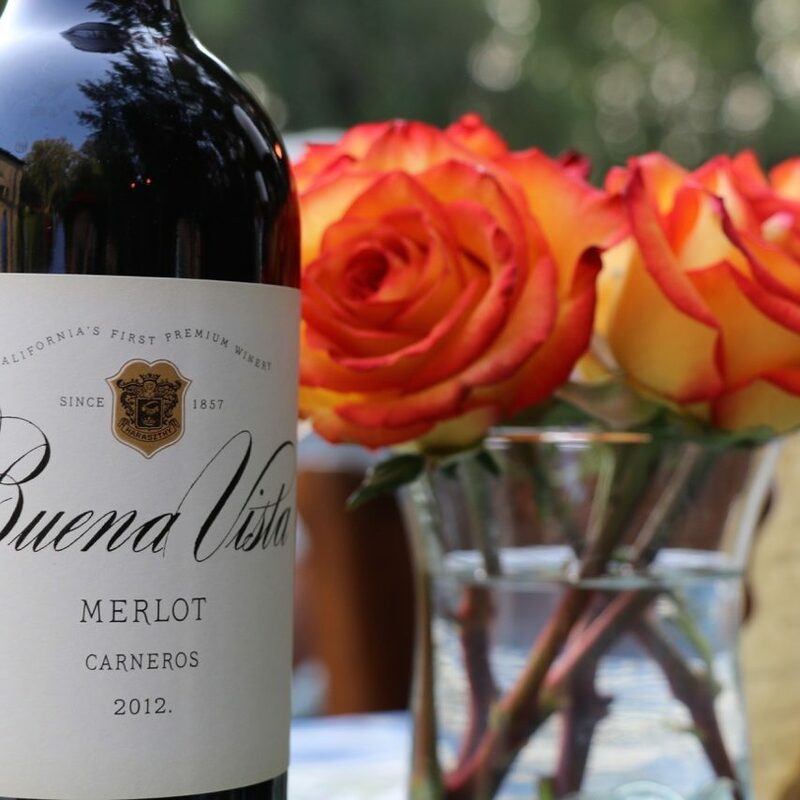 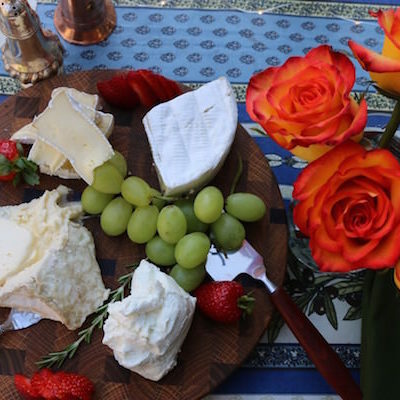 Join them for a live performance under the stars at Buena Vista Winery and be part of a rich tradition of picnicking by the fountain while watching great entertainment. 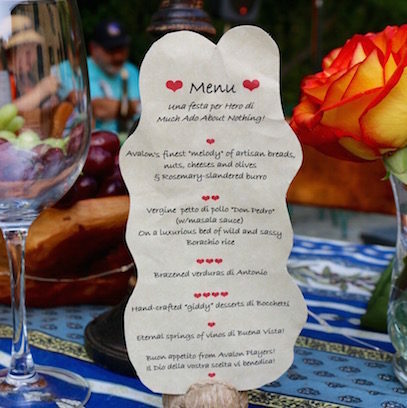 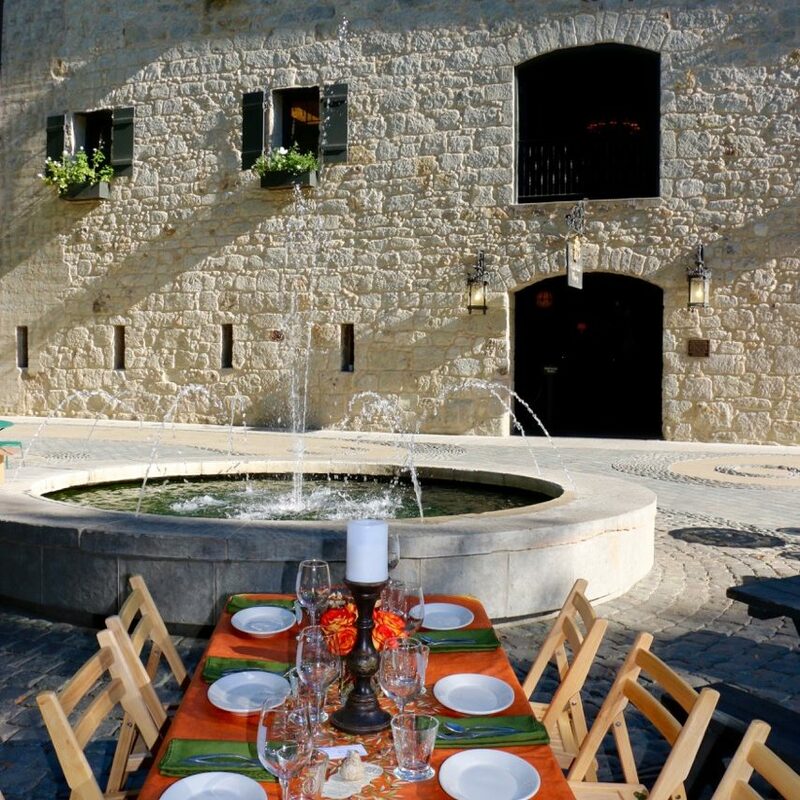 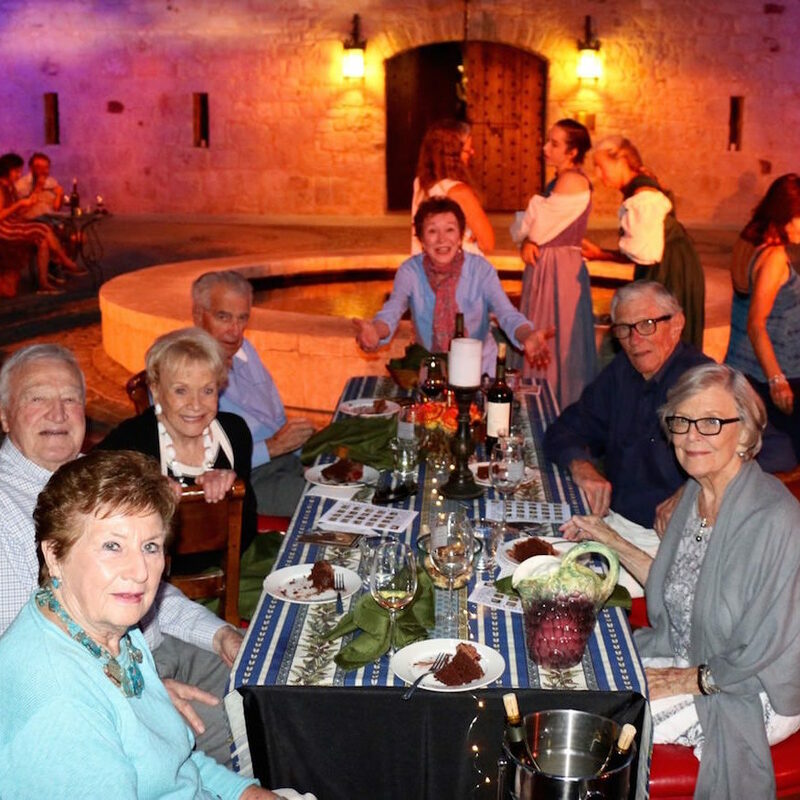 Your guests will enjoy mingling under the stars while noshing on hors d’oeuvres, a light supper and decadent dessert accompanied by fine Buena Vista wines ending it with unforgettable evening of theater. 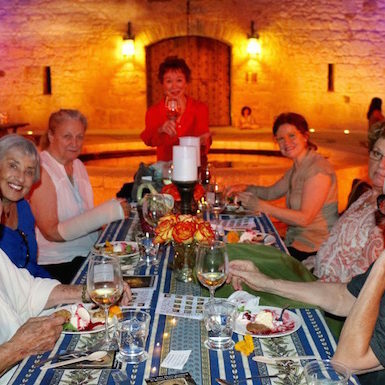 Numbers are limited to 6 people per table to ensure an intimate theater dining experience with preferred seating. 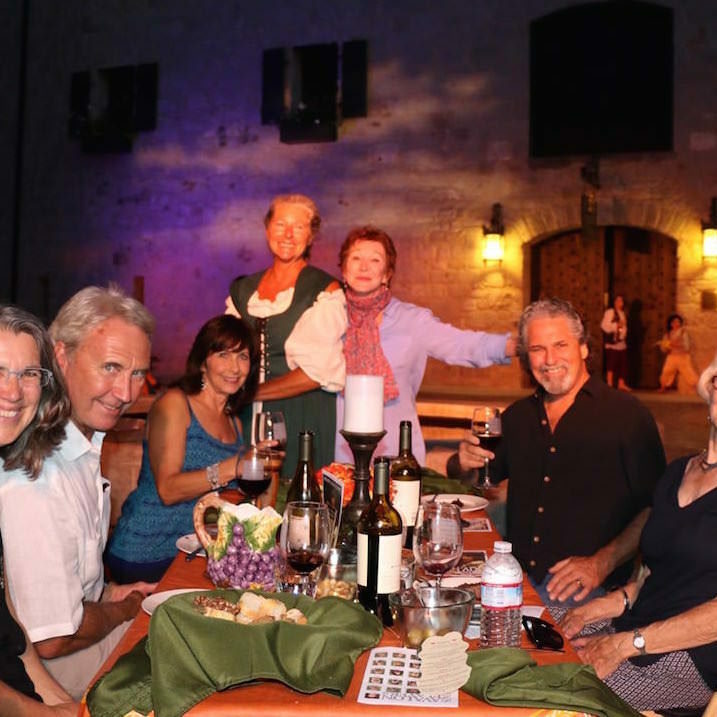 We make it easy to create an unforgettable evening and enjoy a professional, engaging theatrical performance. 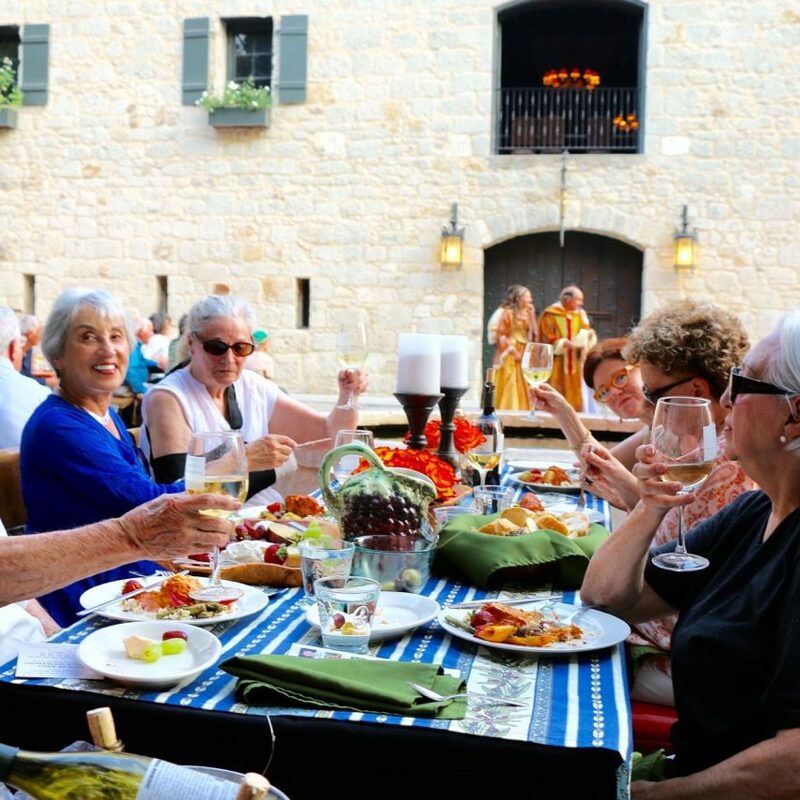 Your opportunity to host entitles you and your guests to reserved seating, performance tickets, and the VIP dining experience.